News about the stagnant levels of productivity growth in the UK are increasingly common. Certainly, the Bank of England and the Government are preoccupied with the so-called ‘productivity puzzle’, with productivity slowdown in the UK more severe than in other advanced economies. At the same time, and despite these recurring headlines, very few businesses seem particularly concerned with the issues of productivity. So what is productivity and why does it matter? In simplest terms, productivity is a measure of the value produced per hour by the average worker – in essence, productivity reflects how smartly we work. Labour productivity is one of the most widely used measures of economic performance, with higher levels of productivity relating to higher levels of output per unit of labour. Productivity growth, therefore, is the ability to generate more output from the same levels of input. While productivity is not easy to measure, it is still the best overall index of living standards and prosperity. The UK faces different problems to most other advanced economies because of its economic geography, with some of the widest variations in productivity between regions and cities any country globally. Perhaps predictably, levels of productivity are more than 70 per cent above the UK average in London whereas less than 200 miles away in Wales productivity is only 70 per cent of the UK average. Analysis from the Office of National Statistics has previously found levels of productivity in Sheffield (South Yorkshire) to be the lowest of the 13 largest city regions in the UK, which is particularly interesting given the devolution of power as discussed in the previous issue. For Sheffield and the City region the challenge of raising levels of productivity is very real, and demands a targeted approach to address weak levels of productivity in the region. In short, we need to raise the productivity of the Sheffield City Region if it is to deliver growth as part of the Northern Powerhouse. Most SMEs are concerned with profitability and occasional business growth, and while not the same as productivity, the issues are related. The productivity puzzle is complex and multi-faceted, shaped by factors such as investment and technology to skills, work and wellbeing, although exactly how these factors affect productivity is still an open question. In the Sheffield City Region making SMEs smarter is a particularly important piece of the puzzle in raising productivity. SMEs tend to be less productive than their larger counter parts, although there is often scope to be more productive. The challenge is often in identifying what steps can made and then how to best go about implementing them. The starting points for many SMEs is a process of self-reflection, and can start with reviewing operational processes; ensuring that employee both are appropriately skilled and deployed; making sure that the technology and tools are right for the business; and that recognising the management and leadership team in setting the vision and ambition of the business. It is often the case that many SMEs are so absorbed by doing business that they do not have the time to embark on the business planning to ensure their future competitiveness – but this is time well spent. 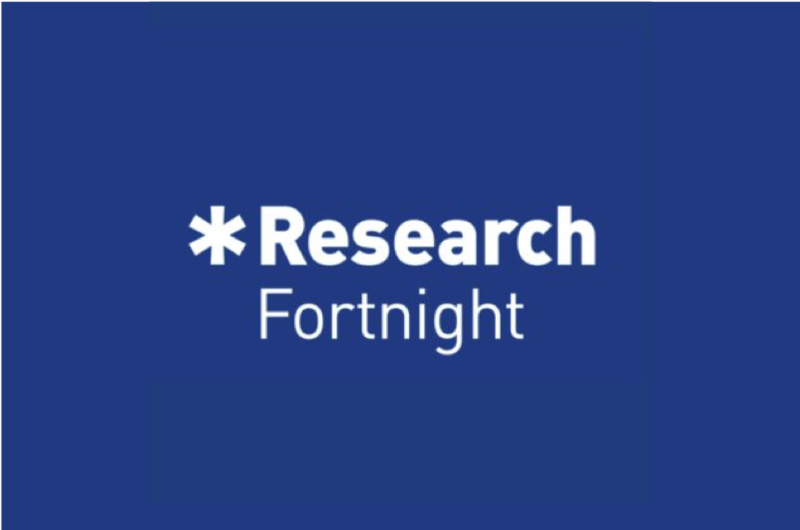 The newly established national Productivity Insights Network, led by Sheffield University Management School is funded by the Economic and Social Research Council to change the tone of debate, by identifying robust insights and practical steps to working with partners from academia, industry, government and charities. 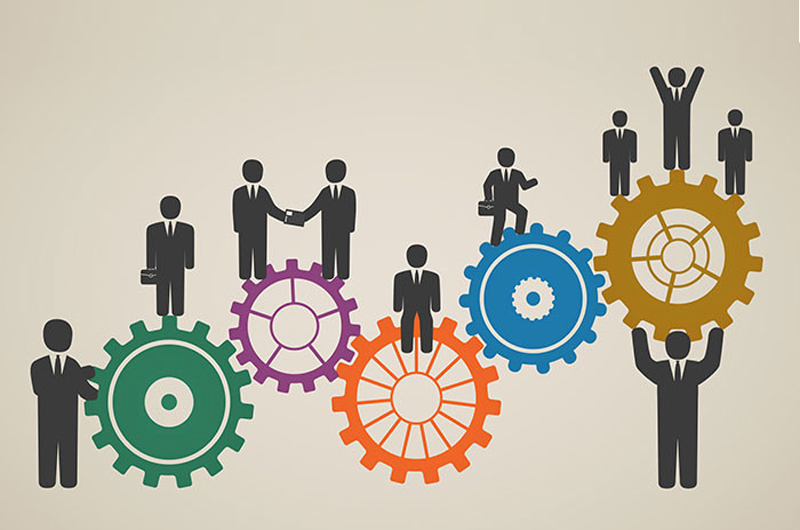 How Business Schools Can Help Unlock the Productivity Puzzle! The question of weak global productivity is a story that continues to dominate the mainstream media. Yet businesses tend not to be overly concerned with issues of productivity, per se, instead being preoccupied with efficiency and profitability. That said, the conundrum of productivity growth remains of central concern to governments around the world—and this is particularly acute in the UK. The now infamous quip of Nobel Prize-winning economist Paul Krugman—“Productivity isn’t everything, but in the long term it is almost everything”—will forever haunt governments. In academe, productivity was once the privileged domain of economics research, yet this multifaceted challenge has become the research fodder of business and management schools around the world. Since total factor productivity, or the efficiency measure for all inputs involved in a production process, has fallen short of adequately explaining dismal productivity growth, business schools working in fields from leadership and management practice to foreign direct investment, and from innovation to well-being, have the potential to offer real insights. Arguably, this expertise positions business schools at the heart of the productivity debate. However, the productivity puzzle is more than an academic exercise and, like other research questions, will not be addressed in disciplinary silos. By its nature academic research is often about paradigm building, but to truly advance the productivity debate, those of us in positions to effect change need to challenge the status quo. The launch of the Productivity Insights Network in the U.K., the collaborative effort of nine universities and two private-sector businesses led by Sheffield University Management School, is a model designed to change the tone of the productivity debate in theory and practice. The emphasis is on co-producing new insights and identifying alternative approaches to increasing productivity—with partners from academia, industry, government, and nonprofit organizations—that are both robust and relevant. 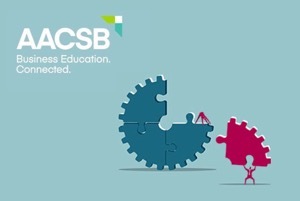 AACSB’s Collective Vision, which identifies five distinct opportunities for change in business education, refers to business schools as co-creators of knowledge. By building on their teaching and research strengths to work with businesses and foster dialogues with governments, business schools have the capacity to positively impact the societies of which they are a part. Although many business schools profess to be impactful, how devoutly do they adhere to and deliver against their values? The business school of the future will be evaluated according not only to research and teaching excellence but to impact excellence, as well. In many respects, business schools are uniquely placed to deliver on impact, not least due to their convening power. The breadth of expertise in business schools often means that they are home to a broad spectrum of interdisciplinary scholars, and can provide a forum to work with academics from different disciplines ranging from the arts and humanities to science and engineering. Moreover, business schools have the ability to serve as a platform to bring together stakeholders, given their strong corporate connections and links to government bodies. This shared space serves as a distinct strength for co-producing new insights that have impact for theory and practice—a process set to become an ever-more collective endeavour as the emphasis shifts from doing research on individuals, organizations, and societies to doing research with them. For complex and multidimensional topics, like productivity, working in this way is imperative not only to better understand the issues and challenges but also to ensure that the research makes a difference. The wider societal value of business schools is unlikely to be the result of game-changing research from the ivory tower alone, but rather the product of collective game-changing, research-led impact. This principle defines the approach of the Productivity Insights Network, by breaking down siloed thinking and promoting collaboration to generate new perspective on an established issue. We don’t just need more insights; we need new insights. As the Productivity Insights Network embarks on a new three-year program of work, my excitement as a management academic is as much about the new ways of working as it is about grappling with the productivity puzzle. Clearly business schools are well placed to push the frontiers of productivity research, but co-creating the research with academic, industry, government, and nonprofit partners is critical to our ultimate influence and impact. By adopting the strategy of a co-creation position, initiatives like the Productivity Insights Network are at the intersection of academia, industry, and politics, and if business schools are to lead such major social, economic, and political debates, there is arguably no other way of working. Ideas from many disciplines are needed to understand and address the UK’s distinctive problems, say the leaders of a new research network. The Nobel prizewinning economist Paul Krugman famously quipped that “productivity isn’t everything, but in the long run it is almost everything”. In its simplest form, productivity is a measure of the value produced per hour by the average worker. This is still the best overall index of living standards and prosperity. In essence, productivity reflects how smartly we work. This does not just depend on the behaviour of individual people or firms, but on the interactions between a firm and the broader market, and the technological, institutional and cultural settings in which it operates. A wide range of data suggests that productivity growth across the industrialised economies has slowed since the mid-20th century. This slowdown was evident by the turn of the millennium, but became much more marked after the global financial crisis. Alongside this general puzzle there are some specific concerns for the UK. Its productivity slowdown appears to be one of the most severe among the advanced economies. Different places show some of the largest productivity gaps in the industrialised world. For example, London has productivity levels of more than 70 per cent above the UK average, while productivity in Wales, less than 200 miles away, is only 70 per cent of the UK average. For many reasons, the benefits of productivity breakthroughs are not as evenly spread as they are in other countries. The newly established Productivity Insights Network, led by the University of Sheffield and funded by the Economic and Social Research Council, will consider all of these issues and seek to throw light on them by incorporating a range of thinking and ideas from different fields of social science, not solely economics. The network will tailor its work to the UK context, integrating analyses and ideas from a range of fields including psychology, sociology, organisational science, geography, labour relations and environmental sciences, as well as economics. How we think about productivity has evolved over recent years. Between the mid-1950s and the mid-1980s our understanding was based on the assumption that efficient markets would maximise the technological drivers of productivity. For three decades, productivity research was focused on the establishment and maintenance of efficient markets, with little thought given to the drivers or inhibitors of technological change. Thinking started to change in the 1980s. Ideas regarding the role played by scale, systems, networks and knowledge spillovers in driving innovation were emerging from studies in business and management. In political science and sociology, the role of institutions in fostering economic development became more central. These ideas reshaped thinking about productivity, just as the global economy entered a period of rapid globalisation. Since then, the rise of the so-called weightless economy, based on ideas and information and driven by rapid advances in digital technologies, has transformed many industries, especially in services. This challenges how productivity is understood and measured, especially in a country such as the UK, where services dominate the economy. The future may see further changes due to the rise of automation, artificial intelligence and big data, alongside the effects of increasing ageing and debt. How exactly these will affect productivity is still an open question. On productivity, the UK faces different problems to most other advanced economies, primarily because of its economic geography. It is the size of the UK’s variations that mark it out and limit national productivity growth. The productivity puzzle, of course, is more than an academic exercise. Truly advancing the debate requires a challenge to the status quo. The Productivity Insights Network aims to change the tone of debate in both theory and practice. The emphasis is on producing insights and identifying robust and relevant practical steps, working with partners from academia, industry, government and charities. The initiative has already attracted the attention of the Department for Business, Energy and Industrial Strategy and the Treasury. Even more than promoting and conducting game-changing research, the network is committed to game-changing impact. It has an ambitious programme of engagement, based on translating and disseminating existing research as well as pursuing new interdisciplinary and applied insights. The involvement of a wide range of organisations will challenge the network to deliver results for a range of communities. As the Productivity Insights Network embarks on its three-year programme of work, this model of working is a new approach to grappling with the productivity puzzle.